Lancaster Estates is so near, new city is just 20 mins away from SM Mall of Asia! 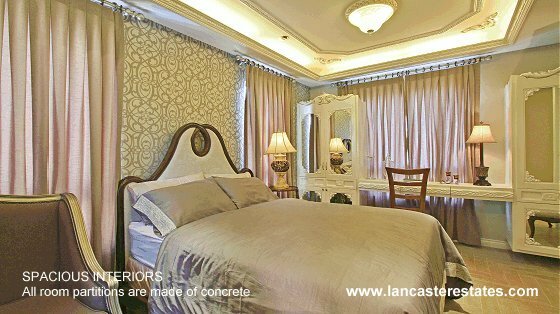 Beautiful houses, spacious interiors, prime location, complete amenities, wide roads, affordable prices with no outright downpayment, and much more will make you smile when you buy a house and lot in Lancaster Estates, a 2,000-hectare English countryside-inspired community in Lancaster New City Cavite Mega Manila that is 15-20 minutes away from NAIA airport. Lancaster Estates is subdivided into four villages, each having its own character. Marvel at the modern sophistication of Glenbrook Village, the classic elegance of Manchester Village, enjoy the better-than-condo houses at Somerset Village and discover the practicality of Kensington Townhomes. The choice is yours. Lancaster Estates features houses that are designed with space and natural lighting in mind. With rooms that are briliantly laid out, you'll enjoy furinishing your home for the entertainment and comfort of your family and friends. Every house model at Lancaster Estates is built to last. Payment for the house is a commitment for many years so your house should stand the test of time. Room partitions are made of concrete, electricals and piping are laid out pefectly, there's room for your car(s) in your lot and most importantly, Lancaster Estates is flood-free. 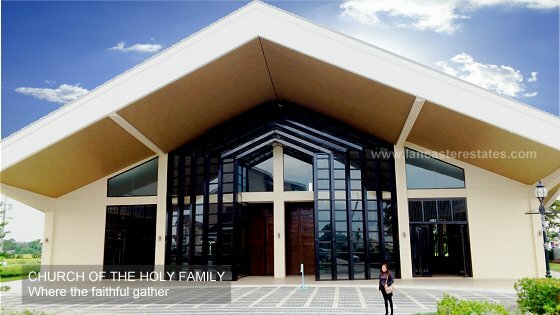 The estate chapel, The Church of The Holy Family, allows you to delight in having a place of worship right where you live in Lancaster New City Cavite. For shop-a-holics and entrepreneurs, a huge commercial complex operated exclusively by Lancaster Estates residents will be developed soon. St. Edward Integrated School, under consultancy with the Lasallian Schools Supervision Office (LASSO), is set up right in the heart of Lancaster Estates and Lancaster New City Cavite. This school has a track and field oval plus a football field where your children can discover their potential as athletes. 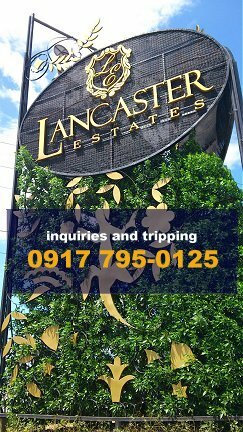 Buying a house in Lancaster Estates is made is easy even if you are working abroad. 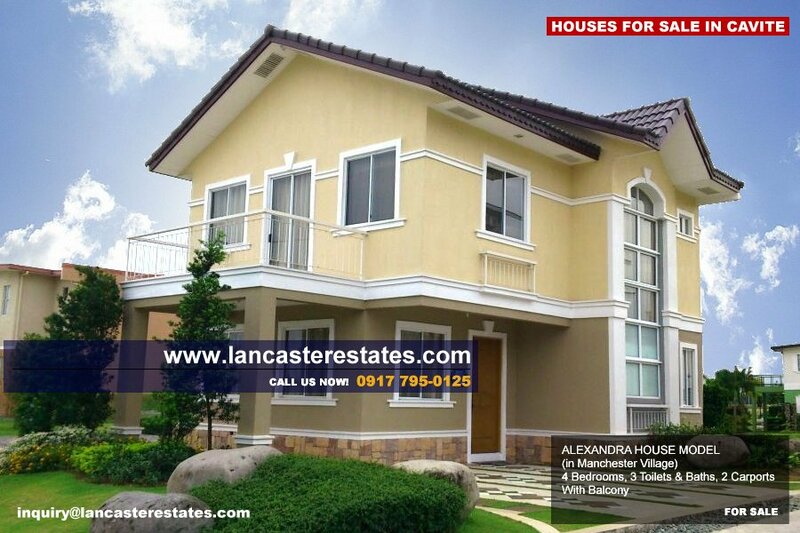 Your Lancaster house can be availed through cash, in-house financing or bank financing. Various financing schemes for 5, 10, 15 or 20 years are available. Loan application under BDO, UCPB and Metrobank will be processed for you when you make a reservation. We also offer Pag-IBIG financing for our Kensington Townhomes house models.